And WE Thought George H.W. Was A Good Guy! In 1992, George H.W. Bush signed Executive Order 12803, which gave D.C. the authority to sell America's infrastructure. They called this authority "Infrastructure Privatization." E.O. 12803 tells us this power cleared the way for the "disposition or transfer of an infrastructure "asset" such as by sale or by long-term lease from a State or local government to a private party." E.O. 12803 tells us that this list represents infrastructure "examples." Let us, therefore, assume that this is not the complete list of America's saleable infrastructure. However, this list is a stunning confession. · Act of March 9, 1933, a state of emergency was declared at the request of the Federal Reserve Bank of New York. This state of emergency was never lifted. The Act, which also broadened the powers of the president during a banking crisis, was divided into five sections. Federal Reserve System + Politicians + Tell-A-Vision = Assembly Line Crises. It is called the Hegelian Dialectic Show. Everything in the country, including the current planet-sized medical emergency, is in crisis. So enters Martial Law. Think of our president's promises to "change" the country and to fix the economy (which the Federal Reserve and Congress destroyed) by rebuilding America's infrastructure, including "21st Century schools" and by greening-up our living standards and conditions (International Code Council, Carbon Credits, Waxman-Markey Climate Bill, etc.) 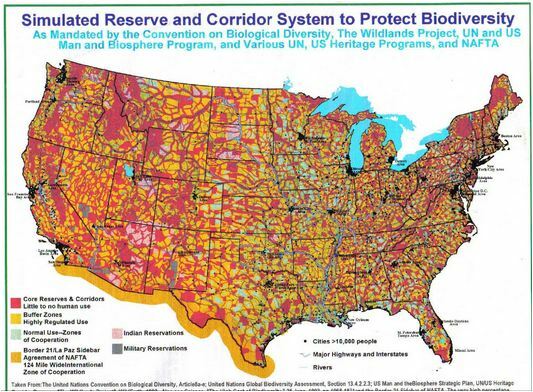 - minus, of course, privately owned land and homes (Agenda 21). In the last six months, consider the massive growth of the Federal Government, the national debt, and the powers of the Federal Reserve Central Banking System - all with stated intentions of fixing the economy that they single-handedly destroyed - and fixing it with "infrastructure" projects. AND the very same infrastructures listed in Executive Order 12803 are also listed in all Martial Law Executive Orders, and all these infrastructures having been for sale, lease-able, or having been sold during the last 17 years- including our children's schools, our hospitals, and our homes - I suggest to you that you are witnessing Central Banking Debt Magic at its finest moment. Wouldn't you love to know how much money has been made by selling our nation to the highest bidders? 1. The country's infrastructure has been for sale for 17 years. Roads, tunnels, bridges, electricity supply facilities, mass transit, rail transportation, airports, ports, waterways, water supply facilities, recycling/wastewater facilities, solid waste facilities, prisons, hospitals, schools, and housing -- this being of "examples" of saleable infrastructure and not the entire list of saleable items according to E.O. 12803--so the question begs: What exactly has been sold to "private parties in our nation? We would like to see the complete list. We know that many highway systems have been sold to foreign countries, but what of the other listed items? Have they been sold as well? If so, who owns them, and more to the question, which D.C. department sold them and for how much? Did the Federal Reserve and Congress sell our nation? Where is the paperwork? Did they repay any of America's debt that they purposefully created with their pyramid fiat money lending schemes? And why are they still raising our taxes if America is no longer America but belongs to foreign nations or "private parties?" Since the Federal Reserve is a "private" corporation, did the Fed buy any of America's infrastructure "assets?" As American "housing" is on 12803's list, and since D.C. recently took over the mortgage industry, has the housing market been sold and/or leased to a "private party" like a foreign nation or the Federal Reserve Corporation? Are the American people tenants to unknown parties? Are American children occupying foreign-owned schools, and are our loved ones lying in foreign hospitals that are clearly chock-full of foreign doctors? Equally, who, exactly, is financing the building of 21st Century schools and classrooms complete with foreign curricula? The questions beg: who are the foreigners....the foreigners or the American people? More to the point, who is dissolving, partitioning, and/or divvying up our nation? Is it Obama? Geithner? Bernacke? Bushes? Clintons? FDR? Wilson? American morons? It would seem that we are preparing for the Big Transfer - the transfer of our nation to and beneath a new authority or several new authorities. It now makes a great deal of sense why foreign troops have been cross-training with our new paramilitary systems, and yes, there are foreign troops on American soil, which I fear may not be American soil at all. Equally, multiculturalism suddenly makes a great deal of sense. I believe we can call it "behavior modification" so that we the stupid people will behave and be obedient under the new rules of new and foreign leaders. I ask you, has our nation been sold out from under us, and without our knowledge? Could there be any other possible explanation for selling the most critical components of our country, while at the same time creating new, multicultural and cross-trained armies; permanently bankrupting the nation and selling its debt to foreign countries, and having Martial Law orders written specifically to protect the sold "assets" of our nation--including our schools and homes? Are America's new owners to be protected by new Martial Law armies, cross-trained with foreign armies, while our "traditional" military is spread all over the planet - except here with its nation's people? Are we being transferred to new ownership as we speak? Washington D.C. debts were sold to foreign nations. Is it not realistic to think that big league politicians, bankers, and CEOs are loyal to no nation when they were massively enriched by internationalized banking, internationalized trade, absurd and illegal taxation, and by interest rates forced upon the people of this nation, while at the same time selling our nation to other central banks around the world and "private parties" - and for personal profit? Truth is, they sold the infrastructure first, and then they sold we the people as tax generators and life-long human resources to their global banking and business partners in crime. What is the crime, you ask? The Federal Reserve, which is a piece of a global banking cartel, and their politicians and CEO partners who made counterfeiting and Ponzi/pyramid schemes legalized theft on continental scales. Your country is 1) not your country and, 2) not what you thought it was for at least 100 years. You are going to have to seek God's grace to be relieved from the bitterness of that truth. Today, we don't know under whose authority we live, but Washington, D.C. and the Federal Reserve do know. Big, big changes are on the horizon. All I can tell you is to remember that freedom, granted to all by God, is first and foremost a state of mind. Pray for guidance. Prepare yourselves because Obama spoke the truth. It is all about "infrastructure." The promised change has arrived. The question is this: who owns America? Who have the American people been committed to serving and beneath what form of government? We can pretty much assume that Asia owns a very large chunk of America, as does Great Britain, India, Middle Eastern countries, and perhaps Mexico and Canada, as well. We can also assume that Martial Law armies will be guarding all the sold "assets" during what could be an extraordinary and massively tyrannical transfer of power. The love of money is the root of all evil. No truer words were ever spoken. the Vegtable Part Watermelon - Green Outside & Red Inside! Human Part - Haven't Found It Yet Other Than Control! Carbon dioxide is a trace gas that is essential for life on Earth and the United Nations, member countries along with current and former leaders of the U.S. government, and others are demonizing it as if it were tobacco, or some kind of cancer-causing gas -– it’s absurd. The facts you have tried to sell America‘consensus’ is pure myth and fabrication. The 97% claim was ‘pulled out of thin air’ according to even UN scientists. This comes down to conformity must be enforced in the name of diversity. In the name of diversity, you MUST CONFORM! That is what they have done in America and around the world agreeing to massive treaties and agreements with absolutely NO input from the citizens of this country and we are going to have to pay for this monsterous fabrication and bucket of lies! THE SAD THING IS THEY ARE SERIOUS - THE THEY ARE AL GORE, PRINCE CHARLES, BUSH DYNASTY, CLINTON FAMILY, ROCKEFELLER'S, ALL THE ELITE WHO WISH TO CONTROL THROUGH LIES & MANIPULATION! Global Warming is as Natural as is Global Cooling! In a natural cycle of approximately 206 years the Earth goes through this process! The DANGER - is that the United Nations, Al Gore and all their cronies do not want you to know the truth! Just look at Europe this year - does that sound like GLOBAL WARMING! 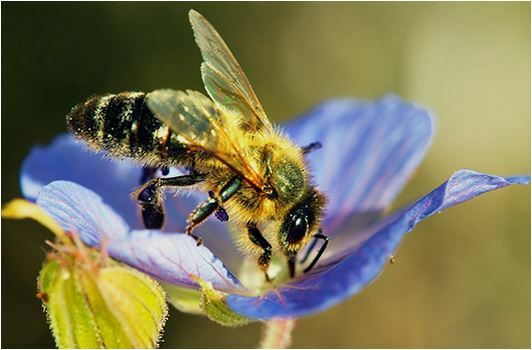 North America has lost 42% of its pollinator bees, and honeybee colonies in the United States have declined from 6 million in the 1940’s to just 2.5 million in 2014. This is a serious threat to agriculture and the US food supply. The bee die-off has been linked to neonicotinoid pesticides, and activists have had success in pressuring retailers such as Lowe’s and Home Depot to stop selling the poison. They now are targeting True Value hardware stores. Between the butterflies and the bees, almost all of our food crops are pollinated. Without these small creatures, we would starve (almost), but biotech thinks they are disposable. This might be why thousands are going to swarm Home Depot and Lowe’s this week in support of Bee Week of Action. 27,000 people are planning to tell these companies that they should stop selling pesticides that harm bees, and ‘show them some love’ instead. If you can’t get the makers of the product to stop making it, consumers can certainly put pressure on the people who sell the stuff to cease and desist. Canada has already seen the death of more than 37 million bees, and the US has similar numbers, reported by bee-keepers. For years now so many of us have been stating all this Climate Change garbage was lies set up to make certain corporate and individual citizens very rich – but that there had to be something else going on. Americans unquestioningly jumped on the Climate Change agenda without asking any questions and laying out their undying loyalty to the “money munchers’ as long as they themselves made money. Recently, we had one of the world’s top supporters of Climate Change come out and state the true reason this was put in place. Christiana Figueres, the Executive Secretary of the United Nations Framework Convention on Climate Change (UNFCCC), warned that the fight against climate change is a process and that the sought-after transformation of the world economy will not be decided at one conference or in one agreement. EXCLUSIVE: June 6, 2015 - The United Nations Foundation created by billionaire Ted Turner, along with a branch of media giant Thomson Reuters, is starting to train a squadron of journalists and subsidize media content in 33 countries—including the U.S. and Britain--in a planned $6 million effort to popularize the bulky and sweeping U.N.-sponsored Sustainable Development Goals, prior to a global U.N. summit this September. where U.N. organizers hope they will be endorsed by world leaders. It is intended to help breathe some new life into a sprawling U.N. effort--supported by, among others, the Obama administration--to create a global social and environmental agenda for the next 15 years. We are told that Earth is threatened by human activity. The ‘green’ response is to sacrifice freedom, living standards, and property rights to save the planet. This is not a sustainable solution because it ends in human servitude to the state. The environmental movement has become the American people's enemy, and now they are in a battle to preserve their land, their homes, and way of life. The real agenda is not conservancy of nature, but political control over people. The new green is merely the old red. FINALLY THEY ADMIT THE GOAL OF CLIMATE CHANGE IS TO DESTROY CAPITALISM! Those who read my blogs know I don’t believe in Global Warming and it took me a while to understand why our government was supporting this with so many failures as in solar panel manufacturing and wind farms using our tax dollars. Scientists continued to argue and then they began to come out of the woodwork admitting statistics had been fudged and money had crossed crooked hands. At a speaking event with my friend Karen, she put to rest the theory of the oceans rising because of glaciers melting with her experiment with the glass of water and ice. You can do this at home. Just take a full glass of ice, fill it with water to the top and go shopping or work in the garden for a couple of hours – come back home and then tell me if the water is over-flowing out of the glass. Need I say more? and actually it would take less room to list the ones who have not joined! DAVID DILLEY - A Natural Process! GOVERNMENT LIES AND THIEVERY IN ACTION! 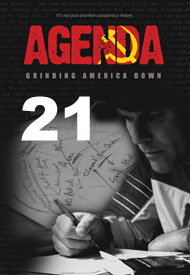 AGENDA 21 THE GREAT AMERICAN SCAM! Most elected officials around the country should be in jail for this major scam! You can call this a "conspiracy theory if you like, but when you no longer have food to eat, you land has been taken away from you, you have no fuel to stay warm, come back and talk to me then! FIND A BLACK DOT - THAT IS WHERE YOU WILL BE ALLOWED TO LIVE! H.Res. 591: A resolution to waive the requirement of clause 4(b), rule eleven, against consideration of certain resolutions reported from the Committee on Rules. S. 1696: A bill to designate certain National Forest lands in the State of Montana as wilderness, and to release other National Forest lands in the State of Montana for multiple use management. H.Res. 585: A resolution to provide for the completion of the activities of the Task Force to Investigate Certain Allegations Concerning the Holding of Americans as Hostages in Iran in 1980 in the second session of the One Hundred Second Congress. H.Res. 589: A resolution to provide for consideration of S 3144, to amend title ten, United States Code, to improve the health care system provided for members and former members of the armed forces and their dependents. H.R. 5575: A bill to authorize certain uses of real property acquired by the Architect of the Capitol for use by the Librarian of Congress. H.R. 6017: A bill to implement for the United State the United Nations Convention Against Torture and Other Cruel Inhumane or Degrading Treatment or Punishment. H.R. 6047: A bill to amend the United States Information and Education Exchange Act of 1948, the Foreign Service Act of 1980, and other provisions of law to make certain changes in administrative authorities. H.C.Res. 223: A bill to express the sense of the Congress that the International Red Cross/Red Crescent Movement should include Magen David Adom as a legitimate national society of that movement. H.Res. 538: A resolution to commend the heroic individuals who acted to rescue Jews during the Holocaust and the Jewish Foundation for Christian Rescuers, which perpetuates the altruism and moral courage of such individuals. H.C.Res. 370: A resolution concerning the humanitarian crisis in Somalia. H.R. 6077: A bill concerning United States participation in a Cascadia Corrider commission. H.C.Res. 353: A bill to expressing the sense of the Congress that the United States should assume a strong leadership role in implementing the decisions made at the Earth Summit by developing a national strategy to implement Agenda Twenty-One and other Earth Summit agreements through domestic policy and foreign policy, by cooperating with all countries to identify and initiate further agreements to protect the global environment, and by supporting and participating in a high-level United Nations Sustainable Development Commission. H.R. 4059: A bill to amend the Agricultural Trade Development and Assistance Act of 1954 to authorize additional functions within the Enterprise for the American Initiative. S. 2679: A bill to promote the recovery of Hawaii tropical forests.